Website Multiples: How Much is a Website Actually Worth? All About Multiples: How Much is a Website Actually Worth? Everyone wants a good deal. When it comes to a website, what is a good deal? How do you decide how much you are willing to pay, good deal or not? We’ll start by looking at “multiples”, the unit of measure that is most often used to express the value of a website. When a website that makes $10,000 in net profit per year, sells for $20,000, we say it sold for a 2x multiple. The selling price was two times the annual net income. Every website is unique. The “multiple” concept gives us a way to compare the value of sites that may have nothing in common except the generation of income. Centurica publishes historical “multiple” data in its “Website Buyers Report”. The table below shows multiples by asking price in 2016. Note: the 2016 data has not yet been officially released. The pattern is that websites generating more net income, generally sell for higher multiples. Why do smaller web business sell for lower multiples? In short – they are riskier. Sites with less net income are typically younger. They haven’t proven that they can grow over a sustained period of time. There is also a correlation between the business model of a website and the average multiple it sells for. Why are multiples different for sites with different business models? There are a lot of reasons why multiples vary by business model. Buyers pay more for sites that require less work to operate. Some business models require less operational effort. Buyers pay more for sites with a lower risk profile. Websites that have recurring revenue are a little less risky because when things go wrong, the future revenue stream gives the owner some time to fix the problem. Conversely, websites that do not have recurring revenue may lose value quickly when they hit a bump in the road, like sudden traffic loss or a policy change by Amazon, Google or Facebook. If a website requires substantial effort to operate and it doesn’t have recurring revenue, that doesn’t necessarily mean it is a bad investment. It just means that is likely to sell for a different valuation than a low-effort, subscription revenue site. Multiples are designed to give us a nice rule-of-thumb to use in valuing a website. They do, but they can be misleading and insufficient. Why? Let’s consider two websites that use the same business model. They are both content websites. They both earn about $10,000 per year net. You would think they would sell for roughly the same price. That may not be the case at all. If one website is 4 years old with steady, consistent growth, and the other website is 6 months old and has made most of its $10,000 in the last 3 months, they are very different investments. The newer website might sell for much less than the older one since buyers may believe the newer site is less trustworthy and riskier. However, the newer website might also sell for much more than the older website. What if the new site is earning an average of $3,000 per month over the past 3 months. On an annual basis, if things continue at that rate, the site may earn $36,000 over the next 12 months. That would make the site worth around $100,000 based on the 2.9x multiple from the Centurica report. Look at the two charts above. See how just looking at the total net income for the year might not tell you what is going to happen next year? Will the recent upturn continue? Or is it a holiday sales spike? Will the sales rebound from the downhill slide over the past 5 months? Using the last 12 months of net income as a predictor of future results or current net worth, doesn’t take into account the overall downward trend of the website traffic. * Profit and revenue figures are annualized on a last three month basis. The broker might argue that the last 3 months are a more important indicator of the website’s value than the past 12 months. He may be right. Or he may just be trying to get a higher price for the website than it is actually worth. Flippa always shows 12 months of income in a graph and also in a table. Flippa also always displays monthly averages computed over the past 3 months. 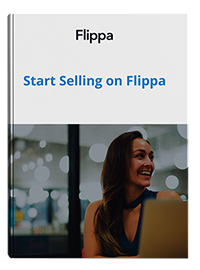 People who have been buying sites on Flippa over the years have probably heard that you can find sites for multiples of 8 to 12 months times annual income. Flippa displays the average net income as $2,000 (because it is the average of the last 3 months). The seller says he is selling at a 2 year multiple – $48,000 ($2,000 x 24 months). The truth is that a $48,000 asking price is actually an 8x multiple. The site’s annual net income was only $6,000. Make sure you compare apples to apples. How Do You Decide the Right Multiple? So how do you decide which multiple to use and ultimately how much to pay for a website? You may have heard of Maslow’s Hierarchy of Needs which describes human motivation. Our highest priority is to maintain our security by preserving our capital! Don’t lose the money that it took so long to earn and save. Secondly, we want to generate cashflow. Passive income is what enabled me to escape the corporate rat race. That doesn’t mean I don’t work hard, it just means I work when, if and where I want to work. I define the priorities. It is wonderful to preserve our capital with a sound investment and to generate cashflow with solid ROI’s. But you can do all that and still be bored and unmotivated. So we want security and cashflow, but we also want to be doing work that we enjoy to the greatest extent possible. Because my most fundamental desire is to protect my capital, I start my valuation analysis by analyzing risk. If you determine that the website is Medium risk, all things considered, then begin with the Centurica multiple for the business model and size of the website. If you think the website is High risk, then you need to reduce the Centurica multiple proportionately to the risk you feel exists. That might mean going from a 2.5x to a 1.5x or even 1.0x. If the website seems to be Low risk, you can afford to add a bit to the Centurica multiple. After you adjust the “market multiple” based on risk, do you also need to adjust it for opportunity? Future potential or opportunity of the website is a good reason to buy, but it is usually not a good reason to pay more. Having said that, sometimes opportunity is almost certain. For example, when I see a website with really poor ad placement, I know for certain, I can improve revenue by moving the ads or changing their size or color. Sometimes there are websites that are excellent strategic acquisitions. They may have a product you know your existing customers would like to buy, or an email list you could sell other products to. When the future opportunity has a higher level of certainty, I sometimes increase the maximum amount I am willing to pay for a website. But I still aim for the lower price of course! A lead generation website earned $10,000 over the past 12 months in net income. I consider it “high risk” because the site is only one year old, it has only one buyer of the leads it generates, its traffic comes from a single source that is difficult to manipulate. So I take the Centurica average multiple for a Lead Generation site of 2.59x (be sure to check for the most recent report), and I adjust it downward by 1.0 to get to a 1.59x multiple. That means I am willing to pay $15,900 for the website. The site looks like it will earn more than $10,000 next year because the owner raised his prices, and over the last 3 months, the monthly earnings are quite a bit higher than the previous months. I would typically stick with the $15,900 price point, but if I am convinced that earnings will be $12,000 next year because of the price increases, I might be willing to spend as much as $19,080 ($12,000 x 1.59x) for the site. There are many methods to value websites. Some people don’t worry much about historical performance and buy purely on future potential. If you want to play the venture capital game, and can afford to be wrong 29 times, in order to be right 1 time and find a huge winner, go for it! But keep in mind that you aren’t only gambling with the money to buy the website, you are gambling with the time and effort it takes to run and grow it. Others put a value on website traffic by assessing its source, geography and other quality factors. That’s not a terrible concept but it values theory over the actual financial performance of the traffic that visited that website. Have anything to add about your own experiences with website multiples? Comment below!